This windscreen pack does it all! 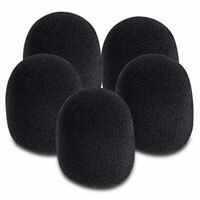 It reduces wind and breath noise, and it keeps your mics clean. Each pack includes 5 black windscreens.